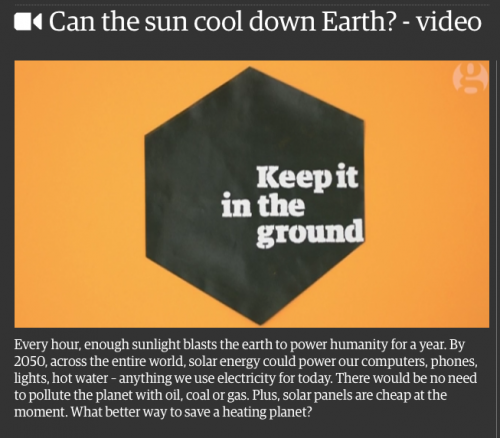 Short animation by the Guardian on solar power, as part of their “Keep it in the ground” campaign against fossil fuels. The price of solar panels has come down by 75% since 2009, and other interesting facts. This is part 2 of the Guardian’s fight against fossil fuels and climate change, focusing on the switch to solar and hope.